What to see there? Sarawak makes up the other part of East Malaysia, with its state bordering Sabah to the northeast and Kalimantan to the south. It's capital city of Kuching is fast developing into a myriad of modern buildings, fronting riverwalks with a clear colonial heritage of The White Rajah. Take a walk on the Kuching Esplanade taking in the seaview, before heading into the many cultural museums and galleries. Look out for Orang Utan street art for some very memorable selfies, that is before you head off to the many eateries and restaurants selling buffets of glorious food! If you get tired of the usual city excursion, you will be pleased to know that Kuching is a gateway to some first rate nature sites that are only a daytrip away. Like for instance, the Gunung Mulu National Park which is another Unesco World Heritage site for its largest underground cave chamber - the Sarawak Chamber. Sarawak also plays host to a number of world class music festivals - namely the Rainforest World Music Festival and Borneo Jazz Festivals which draws an estimated 20,000 people yearly! 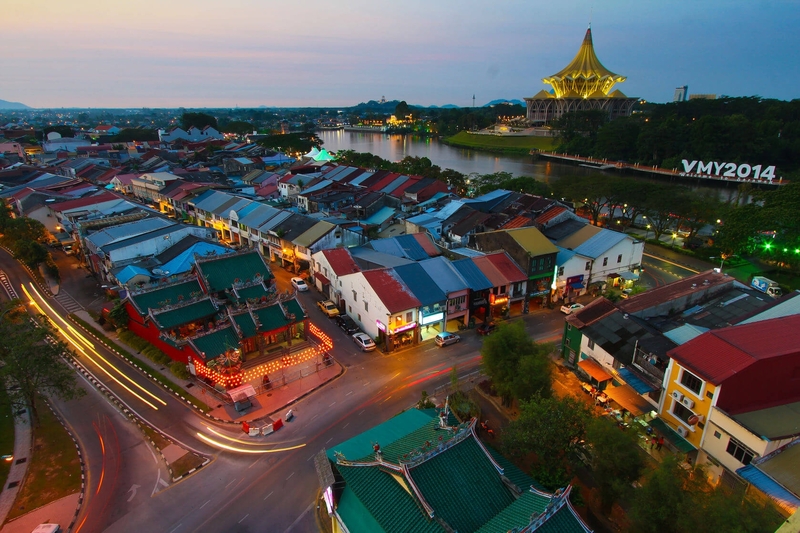 Sitting in the northwest of Borneo, Kuching boasts a sophisticated city within a colonial vibe complete with Chinese temples, mosques and cat statues! Spend a day here and you will know why just like Sabah, Sarawak is a load of fun!